Water crisis issue in Kalimpong Town is set to be one of the major issues in upcoming Municipality Polls. 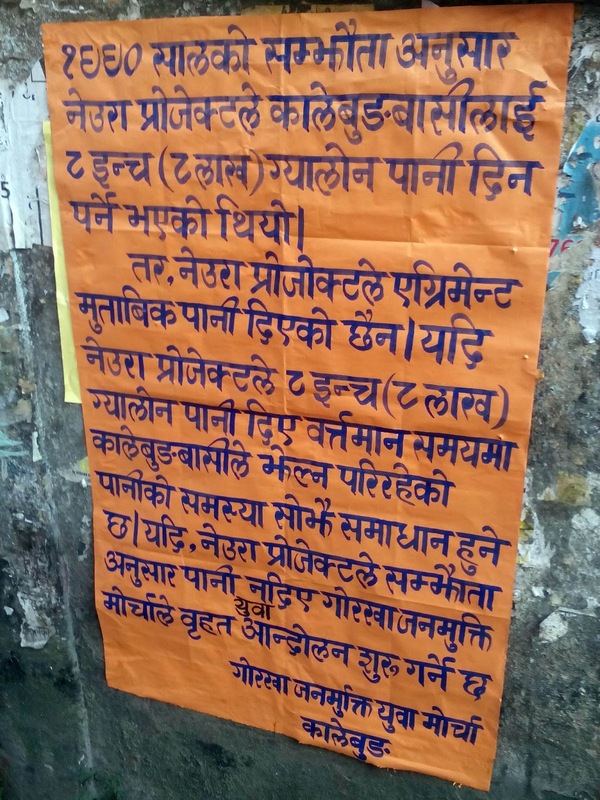 The town which was facing water crisis from 3 week of October to starting of November has gained attention of both Ruling and opposition party of Kalimpong. On Sunday a team of JAP party under the initiative of its president Dr Harka Bahadur Chhetri went to the source of PHE to check the different work done.JAP has recently filed a RTI asking where the PHE has invested 11 crores 39 lakhs and 97 thousand received during the period 2014-2016. JAP has alleged PHE of doing works in papers only. JAP President Dr Chhettri while visiting Relli and Thukchuk Source with the RTI Report in hand has warned of legal actions against the Department. Dr Chhetri told “ Many works have finished in paper not in ground, there is a rush to pass many project in paper rather than doing ground works, People are facing acute crisis which is not natural but man made’ he said. JAP team visited Relli Source under about 2.5 kms from the source 17 places the problems of leakages from the pipelines were found. Dr Chhetri told about 80% of the water is flowing in the jungle area which shows the negligence of the PHE department he added. He added PHE always blame Neura for water but if this leakages are control then rather blaming the crisis may get solved he added. While on the augmentation of water supply scheme from Thukchuk to Relli which costs is 2 crores 33 lakhs and 40 thousand JAP party has alleged negligence in the work. Meanwhile Pumping of water from Relli he said the work has finished , ribbon has been cut but water has not come yet. JAP has alleged another negligence in 5 ,56,62,000 work of laying pipe water scheme from lower thukchuk to Pudung GP and party of Sindebung GP. He said the work has not yet been completed as we have found pipes in jungle area which has not yet been joined. 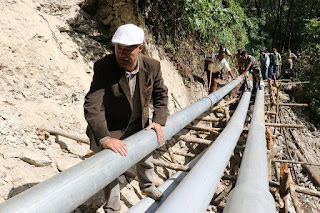 He said Neura pipelines which supplies water to Kalimpong has been laid systematically.At a time when JAP has given a clear chit to Neura work is being targeted by GJM Youth Wing. The wing today posted a poster at Damber Chowk. 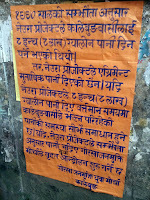 Binay Ghising secretary of the wing said “according to 1990 agreement Neura is to give 8 inch of water daily to Delo Lake but it is not following the agreement . The up and down from 3 inch to 5 inch of water has been creating a problem to people of Kalimpong. So if the Neura Department does not follow the agreement then we are ready for agitation he said. Amidst all this a meeting has been called by SDO Kalimpong which will be held tomorrow. 0 Respones to "Water crisis major issue in civic polls"